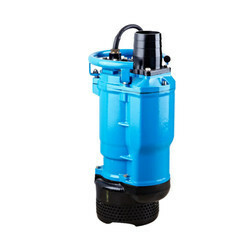 The body of motor and KBZ Submersible Dewatering Pump is made of rigid cast iron for long-lasting durability. Greatly increased maximum submersion depth due to mechanical seal resistant to high pressure (0.5Mpa). Semi-open impeller made of high chrome alloy match with wear plate (ductile iron) achieves superior durability. Effective motor cooling due to discharge channel cast as part of the motor housing. Space economy by a top outlet. Being a quality and client centric organization, we are engaged in manufacturing, exporting and supplying a wide assortment ofSubmersibleDewatering Pump. Our professionals use high grade raw materials and modern techniques to manufacture the provided pump as per set standards. 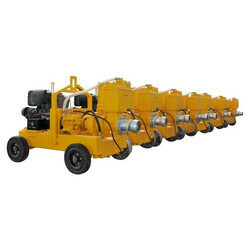 This pump is used for dewatering purpose in different industries. In addition to this, our precious patrons can easily avail the offeredSubmersible Dewatering Pumpat pocket friendly rates from us.